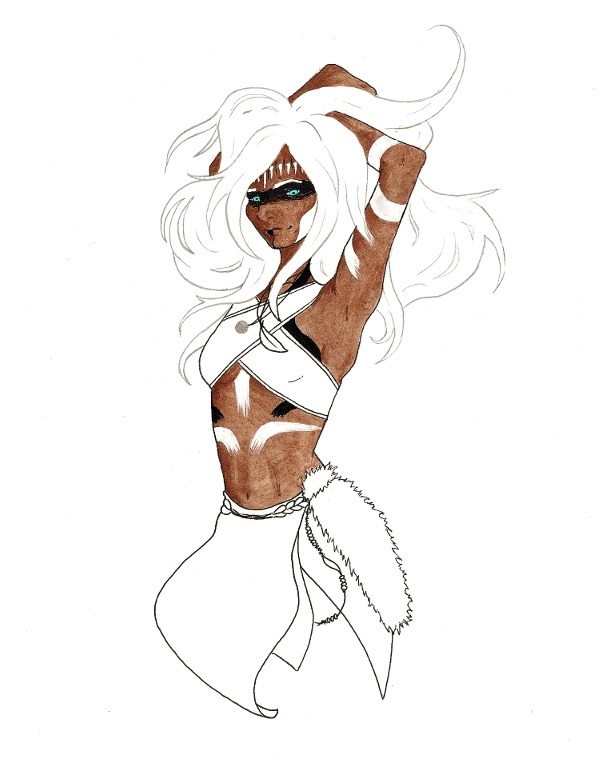 This week, I drew Eyila, of the Ikaheka wind tribe. She almost didn't happen, I've been so excited about my book - I'm writing some big revelations right now, and my heart's been in my throat for days over it! The second book of the trilogy is nearly finished, too - it's so close I can taste it!! Of course, then comes some final redrafting, simmering and pondering before I send it out to agents, but the longest job is almost done, and I remain confident that it's my best work yet.